Are you getting a new roof installed? Whether it’s because the materials have reached the end of their life span or a recent storm has caused a large amount of damage, knowing what to expect can simplify the process. Make sure you’re fully prepared by becoming familiar with the following four aspects homeowner should know before embarking on a roofing installation. The condition of your roof relies heavily on the skills and expertise of the roofing contractor who performs the installation. Those lacking in training could result in sub-par work that causes issues to develop sooner than expected. The best way to find a dependable contractor is to do your research. Ask around for recommendations and check online to verify that the company is properly licensed. While it may seem like you’re saving money, there’s no reason to skimp on a roofing installation. Cheaper materials are known to not last as long as higher-end products and will end up costing more in future repairs. Roofing materials that are expected to last approximately 50 years are the most recommended and provide a design aspect that will instantly enhance the appearance of the home. Making sure all the paperwork has been completed will ensure the installation goes smoothly. Meet with the roofing contractor to determine that the correct permits have been obtained. Go over the contract before any work begins to verify that every agreed-upon cost and product has been written down. Also, asking for proof of company insurance will provide a peace of mind about allowing them to work on your home. 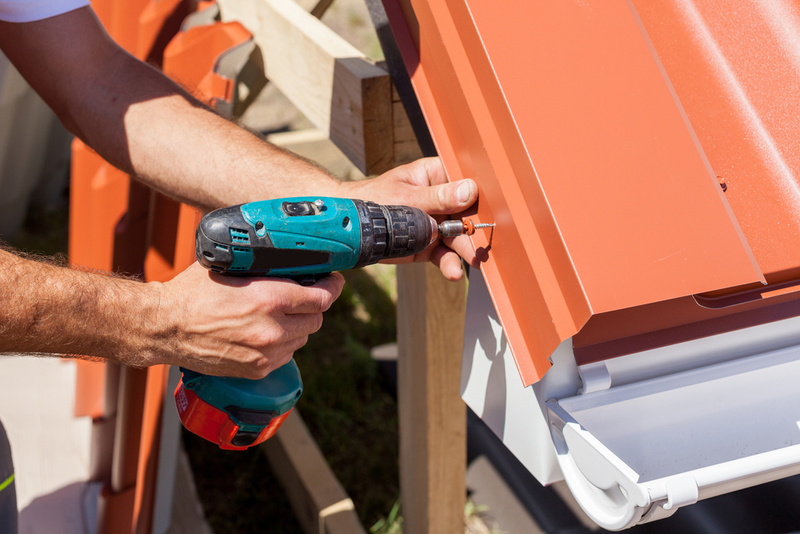 It’s not your responsibility to pick up the large amounts of loose nails that may fall into the yard during a roofing installation. Without the proper tools, this task can be nearly impossible to complete and could put your loved ones at risk of injury. Quality contractors will have the necessary equipment to clean up after a project and will ensure that all debris is removed from the premises. Give your roof the attention it deserves by working with Buckeye Home Services in Ohio. These professionals are recognized for their exceptional craftsmanship and specialize in roofing installations and repairs. They have over 70 years of combined home remodeling experience and provide 24/7 services to clients throughout the Miami Valley area. Discover what makes this company stand out in the industry by visiting their website. Call (937) 586-6600 to learn more about securing a free estimate.